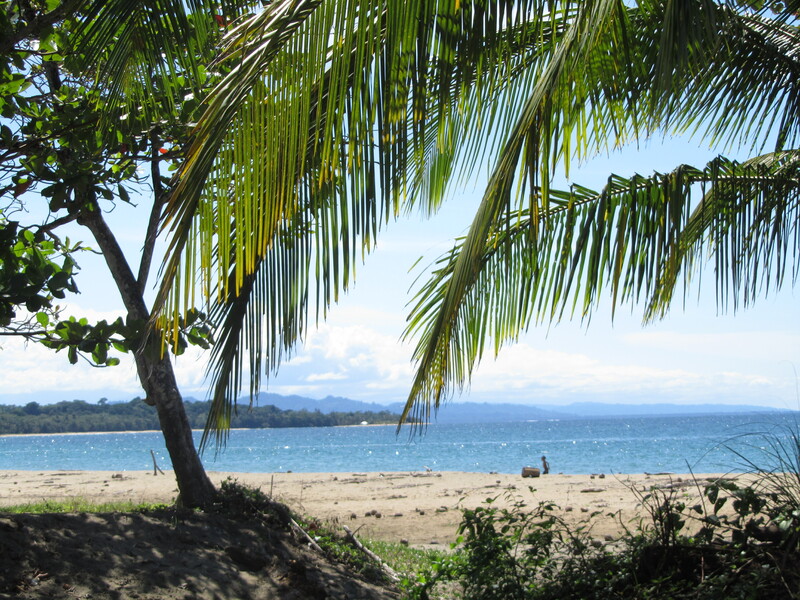 We are now officially living in Puerto Viejo de Talamanca, Costa Rica! We had some difficulty getting my computer up and running due to compatibility issues with Windows 7 (nothing to do with CR just Windows……….) but I am now able to get online. We arrived at the Denver airport at around 8:30 p.m. on August 12th to check ourselves and the dogs in. All went smoothly except that Wiley and Kaya had not been in their crates for two weeks and they did not like having to be in them – especially in such an unfamiliar place. The Frontier employees told us we could take them to a dog walking spot and stay with them until around 10:00 p.m. so we did that and I think it made a bit of a difference in calming them down somewhat. At 10:00 we headed back up and met an employee who took us to the special TSA place so that they could check out the crates and then off they went to baggage. We met our friends at the gate and then flew out about 12:30 a.m. on August 13th. The flight was just under five hours and not too bad at all. We asked an airline employee where we could pick up the dogs and he told us and then went to pick up a big cart to put them on. 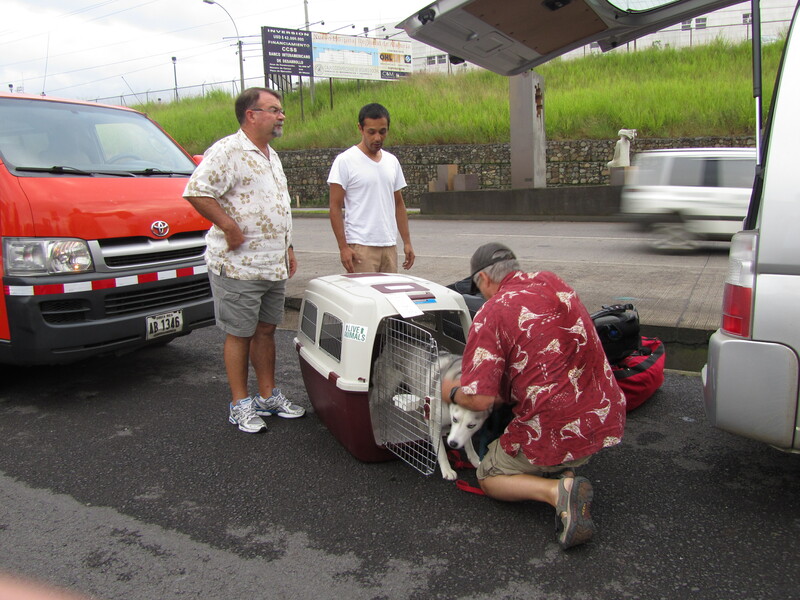 We gathered our luggage and the dogs, got through immigration, and headed out to the curb to meet our van. Turned out that we had to take a taxi to where the van was and it was not big enough for the dogs so Tom stayed behind with them and joined us a few minutes later. I about died when I saw the van we were to take – it was clearly not large enough for dogs in two big crates, four adults, eight carryons and nine duffle bags. After much head scratching, we decided to take the dogs out of the crates and then take the crates apart. That worked although it was a pretty uncomfortable four hour drive – especially for poor Wiley. We arrived at approximately 10:00 a.m. on August 13th and it was everything I hoped it would be. We were exhausted after being up for thirty hours or so but the house was all cleaned out and ready for us. We brought in all the bags and the dogs and started unpacking. 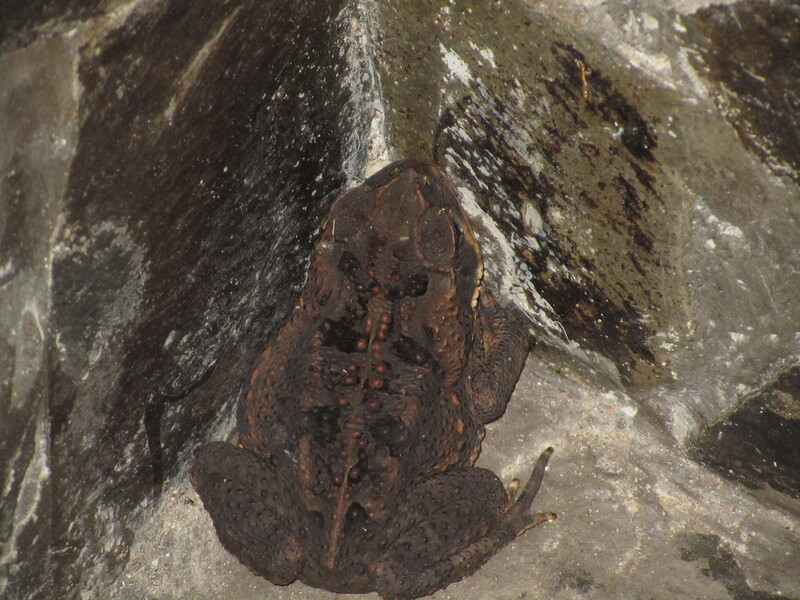 Susan and Rex went way over and beyond what they needed to by helping us put everything away and pitching in just like it was their own house 🙂 We have seen lots of lizard in and around the house (good for insects), a big toad, and a spider. Now we are just hoping to see some toucan. In the couple of days we have gone to the farmer’s market, shopped around town for necessities (beer, trashcans, food, beer………. 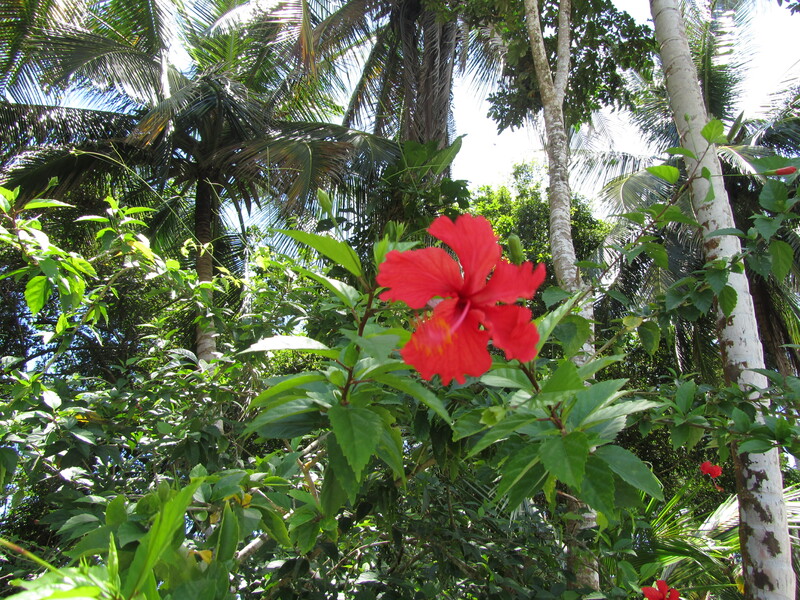 ), played cards in the evening, gone to Cahuita National Park and walked the beach and saw monkeys (howlers and capuchin), and have generally just relaxed. The days have been absolutely gorgeous although today it is raining (it is a rain forest after all) so everyone has taken at least one nap and probably will be taking at least one more. I am in heaven. PURA VIDA!! !